Asbestos Breach by Manachester Devoloper, who failed to carry out a refurbishment/Demolition Asbestos Survey. The owner of a commercial property in Manchester’s Northern Quarter has received a six month prison sentence, suspended for two years, after failing to prevent exposure to asbestos during major refurbishment work. According to the HSE, Whaid Ahmed had not surveyed his property at 1-3 Stevenson Square in central Manchester (pictured above) before renovation work that took place between 1 April 2012 and 12 October 2017. A survey was carried out following a routine visit by an HSE inspector. This revealed large amounts of asbestos to be present, some in very poor condition. This indicated that that asbestos could have previously been removed from areas of the building that had already been renovated without any controls being in place. According to the HSE’s enforcement database, two immediate prohibition notices were served against Ahmed on 11 October 2017. 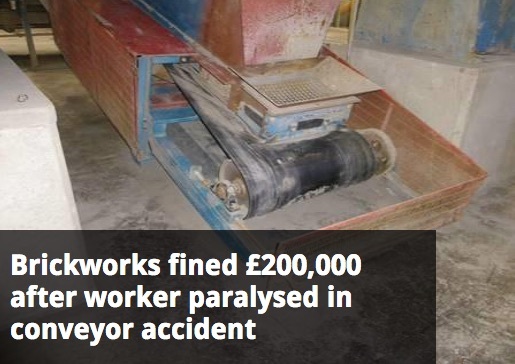 One stated that he had failed to ensure that a suitable and sufficient assessment for the presence of asbestos had been carried out before starting work, placing people at risk. According to the second notice, persons were at risk of an electric shock liable to cause injury or death due to exposed conductors on the live 240 V distribution board. 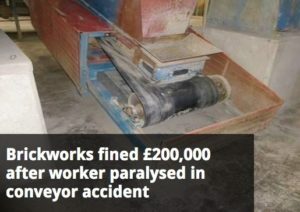 The HSE said that it had undertaken previous enforcement action against Ahmed over a similar issue, so he was well aware of his duties regarding asbestos under the law. At Manchester Magistrates’ Court, Ahmed, of Hale Barns, Altrincham, pleaded guilty to breaching Regulations 5(a), 11(1)(a) and 16 of the Control of Asbestos Regulations 2012. Regulation 5(a) says that an employer must not undertake any work which is liable to expose employees to asbestos unless an assessment has been carried out; Regulation 11(1)(a) compels employers to prevent the exposure of any employee to asbestos so far as is reasonably practicable. Regulation 16 relates to preventing or minimising the spread of asbestos from any place where work is being carried out. Ahmed was given a six month prison sentence, suspended for two years. He was also sentenced to 250 hours of community service and ordered to pay costs of £5742.14. According to the enforcement database, on 15 December 2017 and again on 13 August 2018 Ahmed was served with a further immediate prohibition notices also regarding the property on Stevenson Square. Ahmed, whose address is given as 40 Carrwood, Hale Barns, Altrincham, had “failed to ensure that identified asbestos debris and waste has been adequately dealt within the ceiling void above Slice Pizzeria and Chai Latte”, according to the most recent notice. The notice set a compliance date of 10 September 2018 and enforcement is ongoing, according to the database.